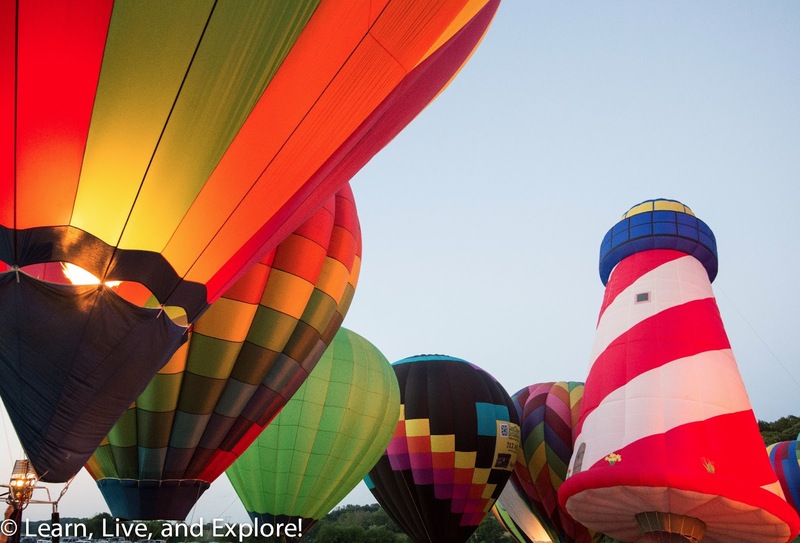 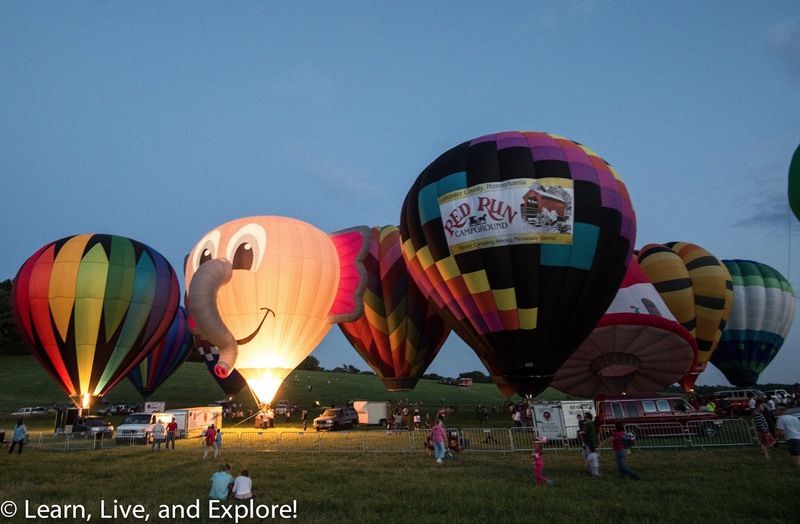 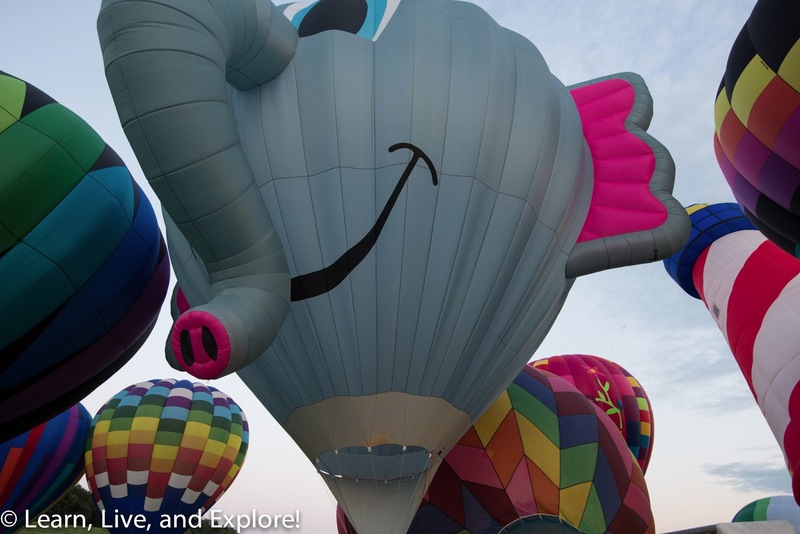 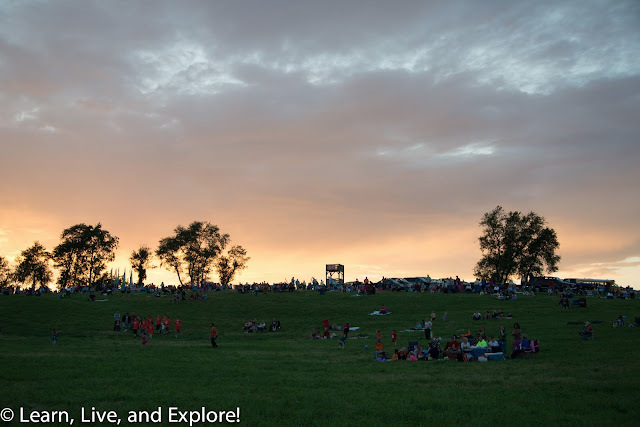 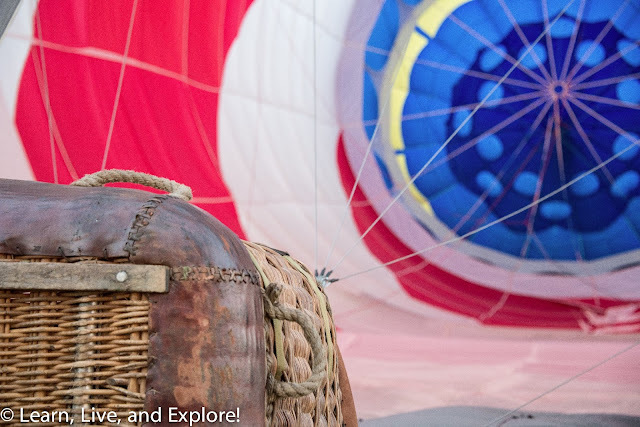 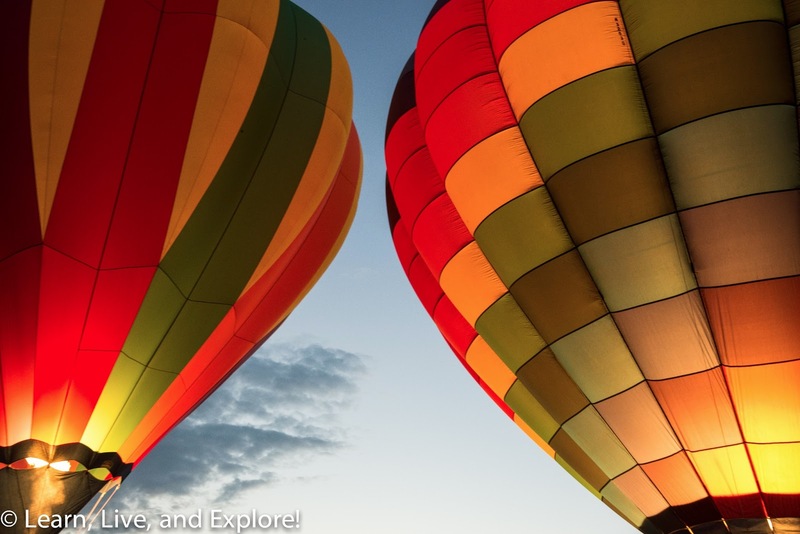 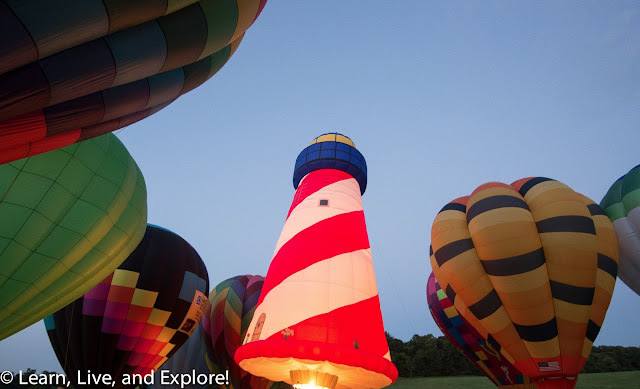 A Hot Air Balloon Glow Party ~ Learn, Live, and Explore! I heard about a hot air balloon festival in Virginia a few years ago, but when I looked it up recently, it had been replaced with a wine and music festival. 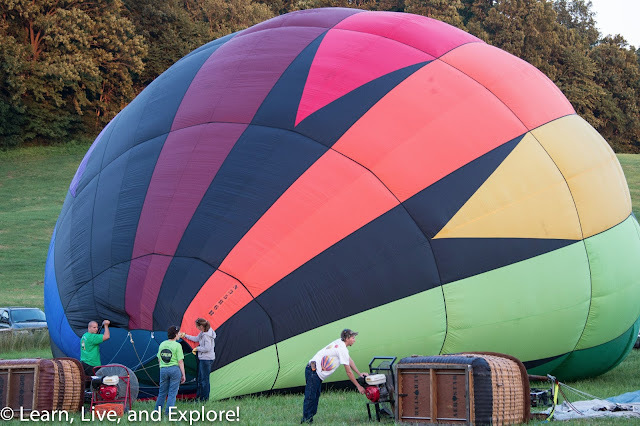 With my mind set on photographing a hot air balloon festival, I stumbled upon one that was close to where my friend lives in Pennsylvania - the Chester County Hot Air Balloon Festival (very kid friendly, and cheap at $10 per car). 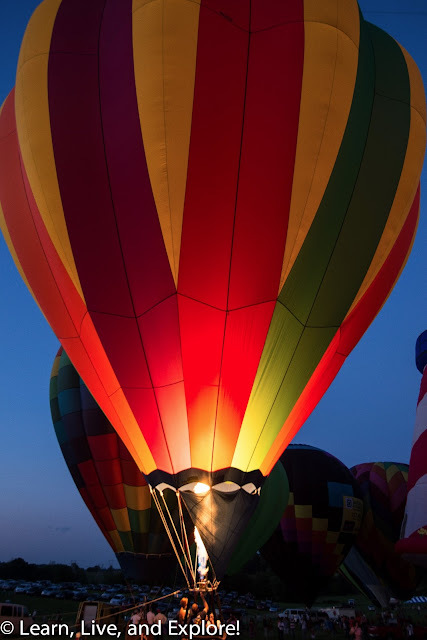 Last night, we attended our first "glow party," where the balloons are set up and tethered so that they can be periodically made to glow in the twilight. 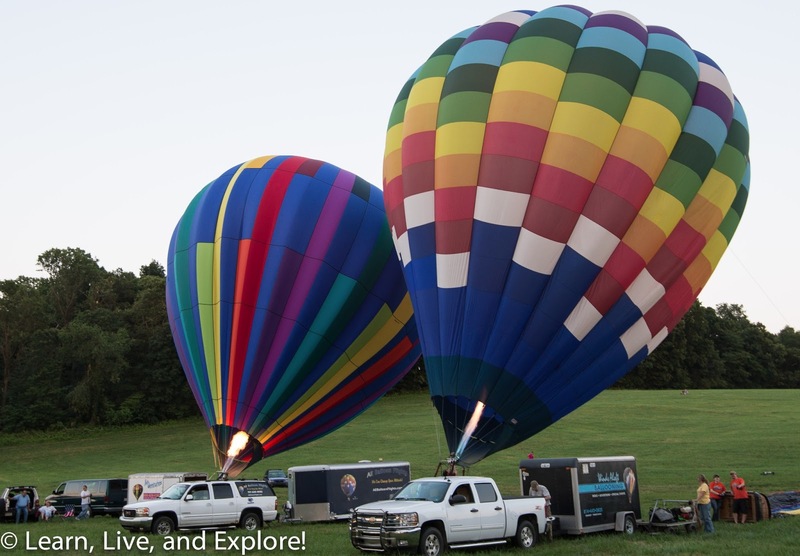 I was hoping to also see a balloon launch earlier in the evening, but was disappointed by winds that were not conducive to ballooning. 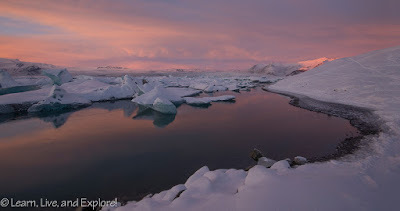 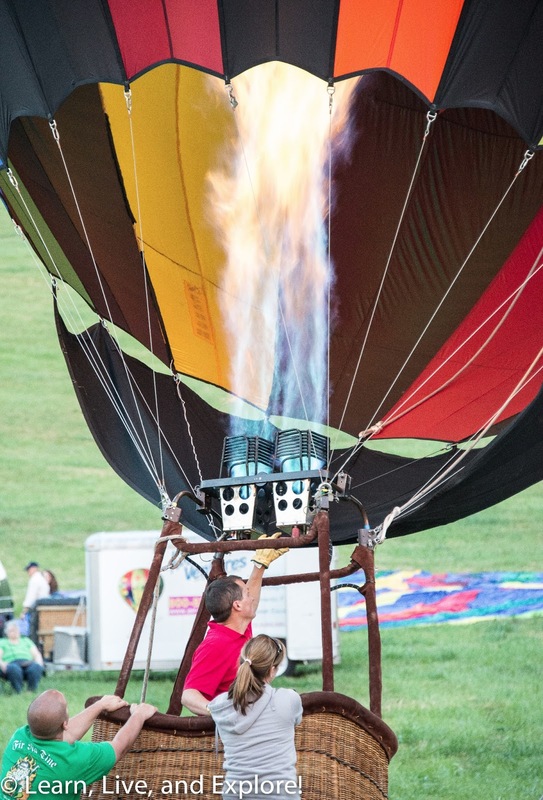 Fortunately, that disappointment quickly waned as I started to capture some gorgeous photos of the event!! 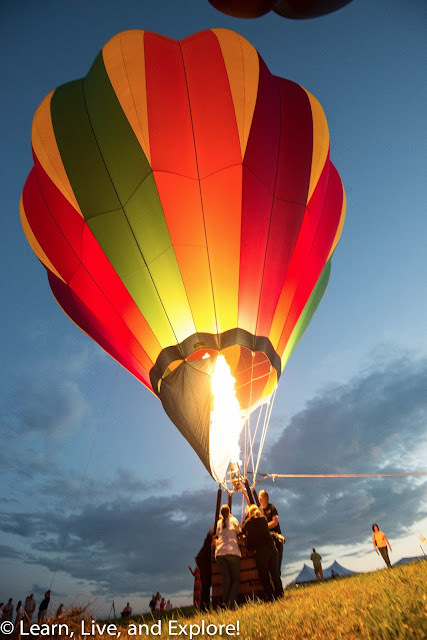 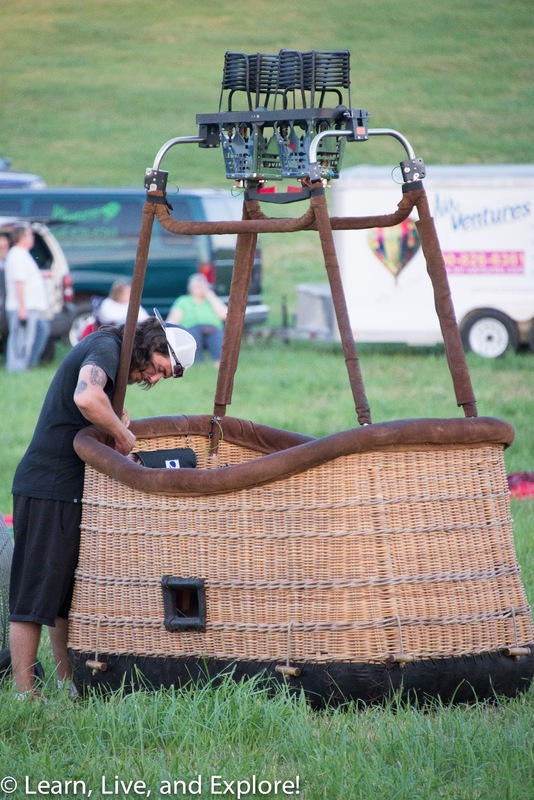 First the balloons had to be set up - baskets out, gas lines tested, balloons attached, gas powered fans used to initially blow the balloon up, then the propane to heat up the air while tipping the basket upright to stand the balloon up. 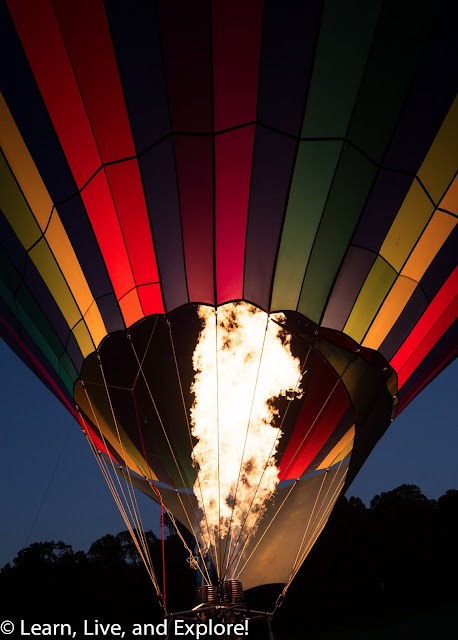 And then it was time to GLOW!!! !